Finally! 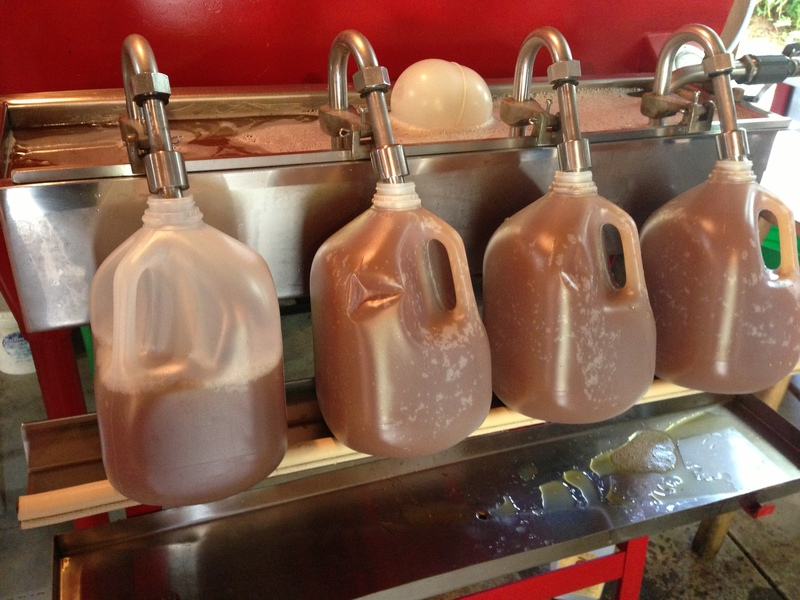 It is Sunday, September 15, and the cider mill has opened for business. We mark our year by the opening every year. It’s like a personal holiday, a personal Fourth of July. 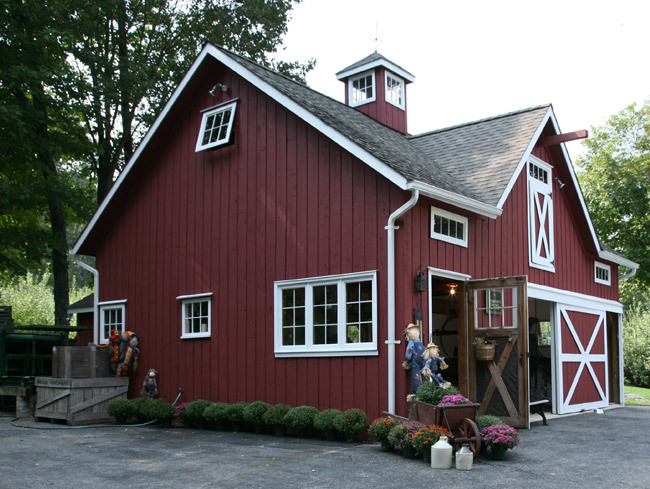 Thompson’s Cider Mill and Orchard, that is, in Croton-on-Hudson, New York, just down the road from the Cabin. 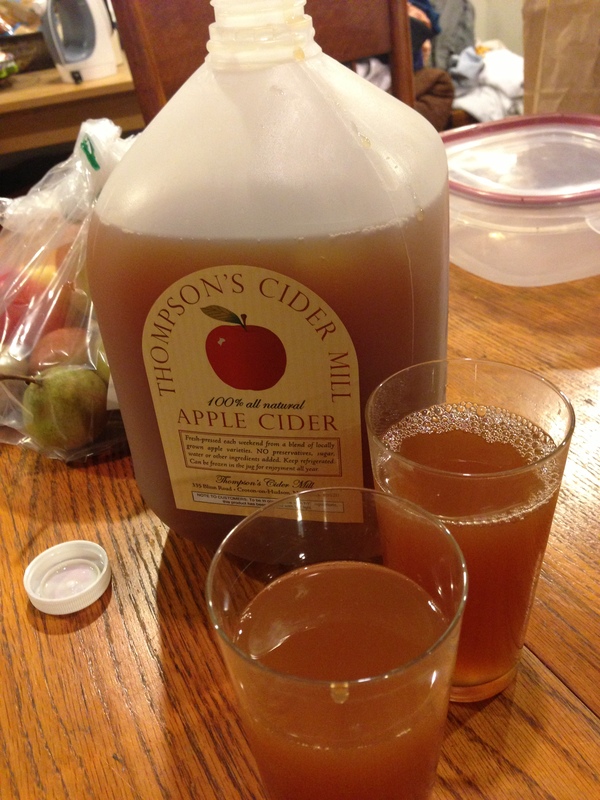 Thompson’s makes its cider from 20 rotating varieties of apple, around half of them grown in their orchards and half brought in. A blackboard lists which types were juiced for each batch. 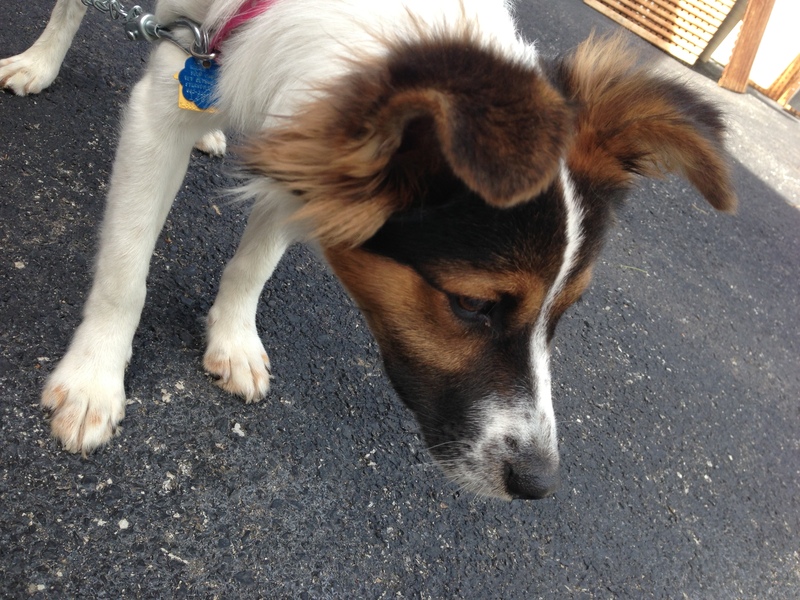 A new puppy this season, Molly, quite interested in a grasshopper. The first of the season coming out of the spigots. The place is only open for 10 weekends each fall. 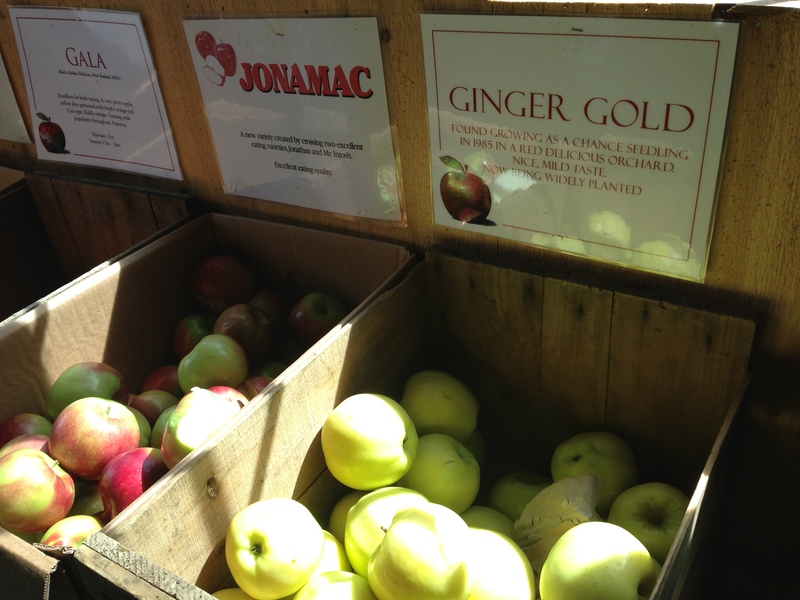 Signs tacked to crates tell each apple’s history – was the apple bred in 1849 in the Pennsylvania countryside? In New York, a brand-new variety? Many of them heirloom… we could be eating the same kind a century ago. I love learning these snippets about the fruit as much as I do biting into one, dribbling juice down my chin. That’s some family business. I find it hard to believe that any big operation could produce the small-batch quality at Thompson’s, though.